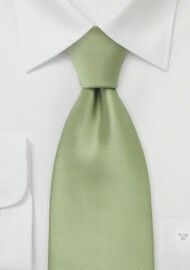 This tea-green tie is made in XL length for big and tall men. If you are taller than 6 foot 3 inches then this tie is right for you. Because this tie is one of our popular wedding ties we also carry it in kids length as well as in normal size. This tie is made from man-made fabric known as microfiber> it is a very care-free textile which is quite similar to she sheen and feel of natural silk. Unlike silk however it is more stain resistant. 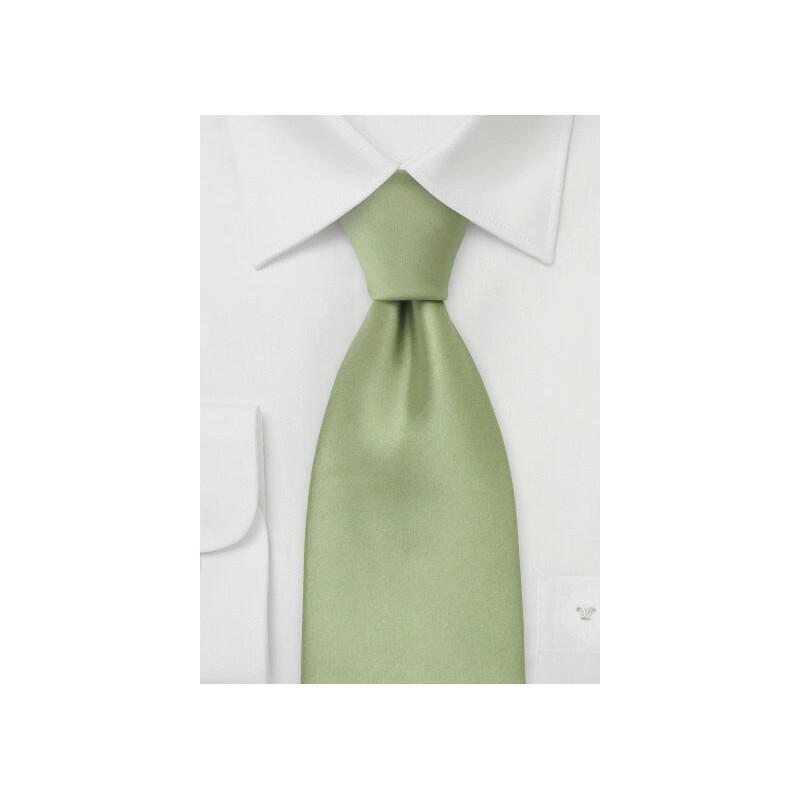 It is the perfect choice fabric for lighter colored neckties that typically show stains very easily.